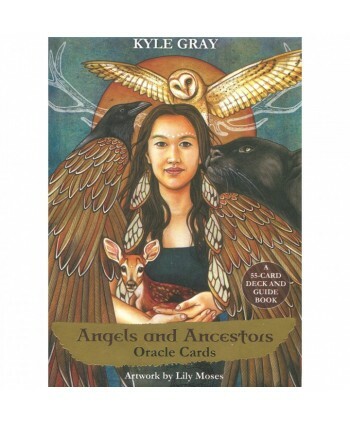 Angels and Ancestors Oracle Cards by Kyle GrayPack Information: 55 Card Deck and GuidebookCard Dimensions: Roughly 9 x 12.5 cm (3.5 x 5").About the DeckWe are surrounded by countless guides who want to share their knowledge with us to bring healing and change. 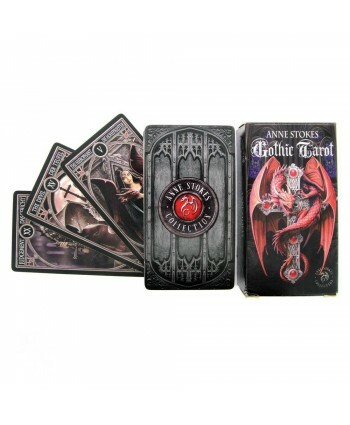 Among them are the Angels and Ancestors.Including images from Celtic, Native American, Aboriginal and Earth-based spiritualities,..
Anne Stokes Gothic TarotAnne Stokes's Famous fantasy artwork graces these Gothic Tarot cardsFor a stunning collection of Anne Stokes work transformed into a Gothic Tarot deck look no further! 'Gothic Tarot' contains 78 cards each measuring in at approx. 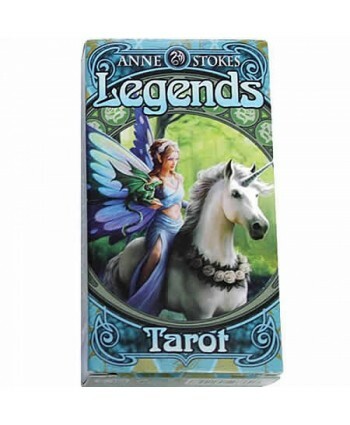 11 cm x 6 cmIllustrated with a stunning array of fantasy artwork by the legendary Anne Stokes, this pack is manufactured by the renowned card manuf..
Anne Stokes Legends TarotNew Anne Stokes Legends tarot cards from Fournier. A special collection of 78 hand drawn illustrations from world renowned artist Anne Stokes focusing on the legends of fantasy tales such as fairies, unicorns, elves, dragons and moreContains 22 Major Arcana & 56 Minor Arcana .. 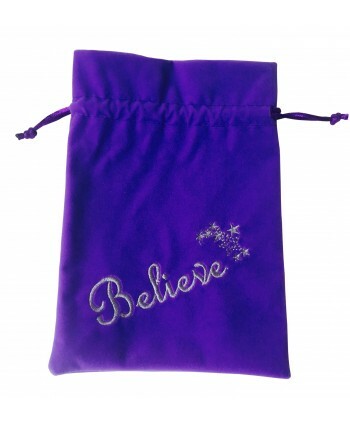 Luxury purple velvet tarot bag with embroidered believe Tarot Bag and drawstring closure. All embroidery is metallic thread. It can be used for all standard sized oracle and tarot decks. Ideal for use to keep your magical tools, ie. crystals, runes and other items special to you. Tarot bag measures approximately 180 x 130mm. Base of the bag up to the drawstring measu.. Blessed Be Oracle by Lucy CavendishOn the BackOnce, when we met, we would say the sacred words, Blessed Be, to wish each other blessings for the day, for the night, and for the profound turning points in our lives. 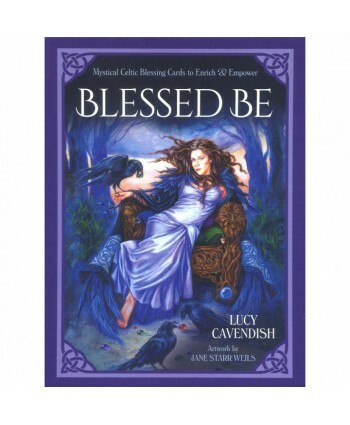 This deck, in very simple, real ways, returns to you the holy power of Celtic blessings, providing a pathway to re connection with the Divine.Lucy Cavendish’s compassionate b.. 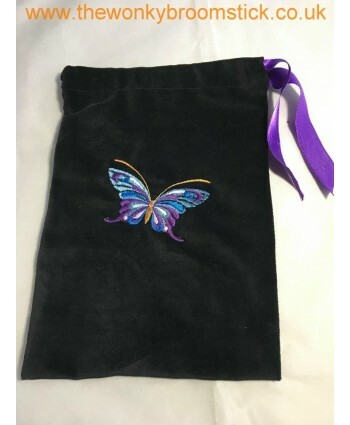 Handmade in Wonky HqButterfly Tarot bag.Black Velvet with purple ribbon with drawstring closure.This embroidered bag would be ideal for tarot or oracle cards. Would even suit runes or crystals Bag size: 16 x 23 cm approx..